Snrky: Is this your way of saying you're not getting anything done today? Is this your way of saying you're not getting anything done today? Title: Is this your way of saying you're not getting anything done today? 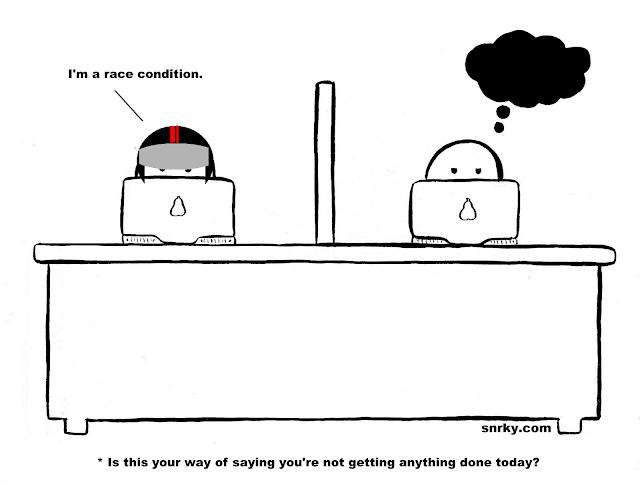 Snarky: I'm a race condition.